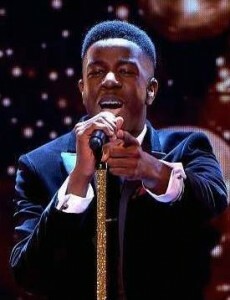 Jermain Jackman attended Arts & Media School Islington 2006-2012. He was the winner of the BBC’s ‘The Voice 2014’! As a former student of Arts & Media School, Jermain Jackman has shown himself to be a fantastic role model for our students, and is reaping the rewards of his hard work and dedication throughout the competition and his teenage years. BBC camera crews visited the school on Thursday 10 April, to film the environment where Jermain developed his talents. From winning the AMS Idol competition at the age of 11 to leaving the school at 16, Jermain was always extremely generous with his talents, helping younger students in our Choir and volunteering to perform at our Community Festivals and annual Tea Dance. He also maintains an active interest in politics, having been a youth politician since the age of 15. Appearing alongside Jermain was Ms Swaby, Jermain’s musical mentor during his time at the school. His story is an inspirational one, and proves to every one of our students that confidence, ambition and perseverance can drive anyone to the greatest of successes. Congratulations again to Jermain and best of luck in your future endeavours. 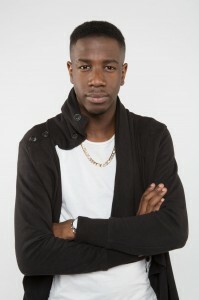 Jermain Jackman is a former pupil of Arts & Media, Islington school who embodies the 4 cornerstones of our community, he is a wonderful young man modelling to his peers that confidence, aspiration, respect and reflection are principles that bring great success. His recent triumph in The Voice competition is no surprise to me, Jermain is one of the most talented and ambitious young people that I know; it was a pleasure to be his head teacher and our school community stands in support of all his future endeavours.